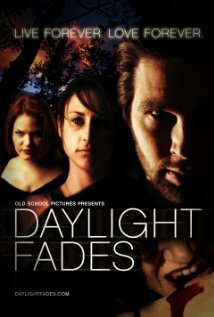 Buy or Rent Daylight Fades (2010) Movie DVD & BluRay Online! Movie Plot: Elizabeth, a tough, jaded young woman, and Johnny, a shy, kind-hearted young man, meet at a bar and quickly become an inseparable couple. Almost just as quickly, though, Elizabeth, who’d been abandoned by her father before she was born and whose stepfather is an abusive alcoholic, becomes uncomfortable with just how much she needs Johnny. Johnny, knowing he just wants to be with her, needs Elizabeth to commit and admit her love for him. When she can’t, they have a falling out. One night soon after, Johnny is in a car accident. The doctors determine that he doesn’t have long to live. Elizabeth is devastated and filled with remorse. At the hospital, Seth, a guarded, reclusive man with a mysterious connection to Elizabeth, takes it upon himself to save Johnny in the only way that he can: he turns Johnny into a vampire.